Body fat is dense fat that leads to stroke, cancer, diabetes, high triglycerides/cholesterol and high blood pressure. Through the sport of bodybuilding (figure, fitness & bikini) I learned that even I have to live my lifestyle based on an organized system. I need a structured meal program and solid direction on exercise if I want to keep body fat down. Having a baseline of foods you work from help simplify this process. How you eat is 70% of your results when it comes to shaping your body. The greatest results happen early on in most programs. Even small changes in the start can still lead to great results. As you get leaner, it gets harder to get results. The challenge is around 6 weeks of working a program. Most people, from my experience, begin to backslide and the program becomes more of a mental discipline. It takes about 6 weeks to grow muscle and see visible tone. If you want change, you must change your patterns and thinking. Most people are not blessed with lean bodies and outstanding genetics that require them to never have to watch what they eat or exercise. Your eating and exercise habits can lead to outstanding or ill health. To succeed at the loss of body fat and gain of lean muscle, you will need to become conscious of your every move, thought and patterns in your life. It’s called becoming more mindful. This is crucial when it comes to making change. It’s not just a physical effort. For some, it goes much deeper and if those issues underlying the gain of fat and weight aren’t addressed, dieting and exercising will not be enough. There are no magic pills, fad diets or superhero trainers out there. It is up to you to get educated on how and to follow it relentlessly! It must be integrated into your lifestyle. The question is, what program will work and whose advice do you follow? There is a well of information out there, but so many systems lack some key factors that people want to improve. A popular one is how to get rid of ugly cellulite. This is all a part of toning the body and clean eating. However, not everyone has the endurance or motivation to stick with any program and half will most likely drop off after 4-6 weeks when they are required to actually step up mentally. Today, we are a society of instant gratification. If it doesn’t work in a few weeks, we get frustrated and move on to what we want to believe is the next best thing or just give up for a while. It takes mental fortitude and patience to succeed at any goal. Body fat is takes time to reduce so some endurance is required. Stopping and starting programs can also wreck havoc on the Basal Metabolic Rate (BMR). 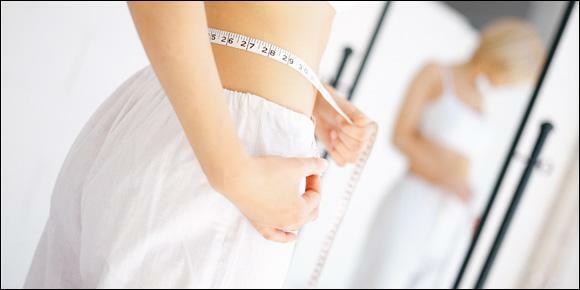 Many dieters tend to be off and on various low calorie diets, which makes it harder for them to lose weight. When the body goes into starvation mode it also gets fatter. If a client over exercises, they will start to release cortisol, which in turn leads to more body fat. Alcohol does the same thing. Quickly the body shifts into protective mode. This is to prevent it from overloading the organs (liver, kidneys). The hormonal system begins to secrete specific hormones to protect the body. This is where the release of cortisol kicks in. Cortisol is the culprit for belly fat and will make fat and weight loss very difficult. You need 40 mins of cardio if you want to target body fat and start to burn. If you are trying to lose weight you must do cardio for up to 1 hour daily or even 2 hours split up throughout the day. If you go for double cardio, never do it all at once. Have a meal in between at least and some down time to prevent the release of cortisol. Never do cardio over an hour, unless you are an endurance athlete and how your abs look doesn’t matter. It will push your weight down quickly. This is extreme, but it does work. However, if you keep the diet tight, you shouldn’t have to exercise intensely. To lose body fat, you need some form of resistance training – even if it is your own bodyweight. However, if you are pushing just your own bodyweight and not using any weights, you may not be challenged enough. If it’s challenging you and you are feeling “the burn” it is working! It is important that you change the weight and resistance levels or your body will NOT CHANGE. There is no cheating this and why so many stop growing lean muscle, loose muscle or plateau. If you lose muscle you will quickly grow body fat. YOU CAN BE SKINNY with a lot of body fat. This is called “skinny fat”. Too few of calories or getting less than your RMR (resting metabolic rate) will lead to losing muscle and in turn you will gain body fat. Eating less is not the way to lose body fat, you will lose weight, but you will gain fat. You don’t want to lose muscle because what will be left are saggy skin and no tone. Eat Every 2.5 – 3 Hours – this is not to make life difficult, it is science. If you don’t you begin to store body fat it is a survival mechanism that the body does whether you like it or not. Skipping meals, especially breakfast is a major no-no. If you don’t eat enough protein for your weight you will not be able to grow muscle. You don’t grow muscle you don’t lose body fat. You again will lose weight when you lose muscle, but again do you really want loose skin, more body fat etc. just to lose weight. Diet’s Don’t Work – this is a lifetime of eating this way if you want a lifetime of maintenance or looking your best. Going on and off sound programs that are systemized long term is a big mistake and you are in denial if you think you can do this without consequences. If your digestive tract is full of toxins and your enzymes are not able to do their job effectively you will not get the nutrients you need. Fat Free Is Bogus – You need healthy omegas (fats) not the bad kind. Fat free foods are often loaded with chemicals and substitute additives. Eat oOrganic Or Natural Foods – If you are full of toxins, your cells are not being fed whole nourishing foods, than you are in a preconditioned state for only one thing – disease and obesity. If you don’t manage your life in a more organized way, you will not follow anything long. Until you learn to direct your own ship and lead the way within your life and ensure no matter what you schedule your own needs in you will never get the results you desire. Cortisol leads to a lot of body fat and this is released when you OVERTRAIN, are anxious, Ill etc. Managing your stress levels is key in order to get great results. Stress will make your hormones a hot mess and your body will become one too. If you approach things in a way that is manic and do not ease into things realistically, you will wind up with the polar opposite. This is when you find you have to drop off because of an injury. It’s never smart to start a program going too hard too fast. Work with your conditioning levels, not against them, just a little push. Work from where you are. I know you may panic when you gain a lot of body fat or weight, but it doesn’t come off overnight. You will have to be patient while in “body prison”. You got yourself there and you can get yourself out, but you now have to pay your dues. Buckle up and enjoy the ride. Body fat does not come off overnight. You must be consistent and build the mental endurance to shed it at a 1-3% per month rate for healthy long-term results. This way of eating and exercising must become ingrained in your lifestyle. You will always have to work towards keeping it down. Eating out is fine, but if you are getting too much sodium, sugar and carbs, it is working against you. Be wise about where you go and the selections you make. You should give yourself a cheat meal sometimes, but not all the time! You don’t really need any starchy carbs to live on. Ditch all forms of breads, cereal and rice, unless they are gluten-free. These were created as fillers since good quality food at one time was scarce. We need organic nutritious food in order to feel satiety and not “filler” foods. These foods serve little purpose when it comes to nourishment unless you choose whole grain. Save your gut and calories and get a supplement for fiber or eat more vegetables. The need for carbs is totally psychological. Starchy Carbs are what are causing disease because our DNA cannot process them. If you are going to eat them YOU MUST BURN THE CARBS OFF. If you don’t workout everyday, you have to understand you are not burning off carbs…. they turn to fat and so do all forms of sugars including fruit (fructose), dairy (lactose) and sugars (sucrose). The best time to eat the bad stuff like carbs, sugars and sodium, if you must, is right after your workout, when your sugar levels drop and your sodium levels are lower. You also don’t want to eat carbs before you exercise. If you do, you will burn sugar not fat when you are training. Your efforts will only work when you get organized and stop playing games with yourself hoping for an easy way out. The worst game we play with ourselves is to IGNORE IT and AVOID it. Body fat gets worse and it will have you wishing you had not let it come to this. There is no perfect time to start. Learning how to manage your time is key. You must work in your meals every 2.5-3 hours and eat the things that trigger fat burning hormones. There is not one exercise or one way of eating (low carbs high protein, Weight Watchers, Atkins, South Beach, these are all fad diets that may work, but short term. It is a combination of things that work. Allow a professional who understands the way food and exercise work to manipulate the body into balance to help you reach your goals. Be sure you are asking questions and learning along the way. It’s your body and you will be responsible for taking care of it the rest of your life. Great symmetry makes for a great body and ideal health. Too much fat is simply not health and creates imbalances to the body and health.